Whether you have a particular reason why you need to know more about the users of your system or you are only curious, you can use a simple command to list users with registered accounts on your OS. 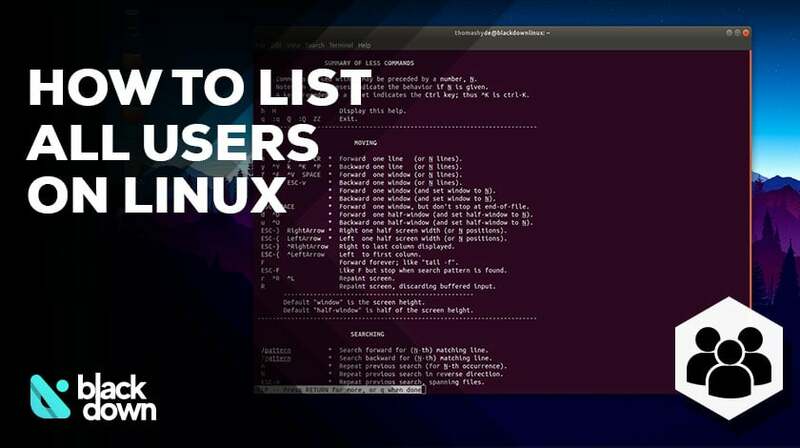 Take a look at the easiest tutorial on how to list users in Linux. That will open the file that keeps the data about all the users on that Linux system. Each account will have a separate line with info about their username, ID number, group ID, full name, home folder, and login shell. The system will now show usernames of all registered accounts and each of them will be in a separate line. This command will order Linux to display the user information from the “etc/nsswitch.conf” databases. In essence, you will get identical information like when utilizing the “etc/passwd” file. What about using the reverse approach? Instead of listing all users, how about checking if a user with a particular username exists on the system. If you get a blank screen, that means that the specified username does not exist in the system. However, if Linux finds a user with that username it will list complete information about them. What Is the Total Number of Users on Your System? Linux will display a number, and that will mark the total number of users on your system. The system will immediately show extensive information about various groups on the screen. You can replace “search_this” with the username you are looking for, and the system will show the user and which group they belong to on the screen. That concludes our tutorial on how to list users in Linux, as well as checking the total user number and searching groups on your system. Remember, these commands work on any Linux-based system – just open the terminal and type the desired command from the ones mentioned in this guide.